Every year, on Autism Awareness Day, April 2nd, I do a live stream on the Autcraft server to raise awareness of autism, the bullying that autistic people face and to hopefully highlight just how great the autistic community is. I want to focus on the effect that bullies have had on the autistic community and I'm not just talking about people being upset, being run off servers or anything like that... I'm talking about the systematic removal of our identity, the silencing of our existence. 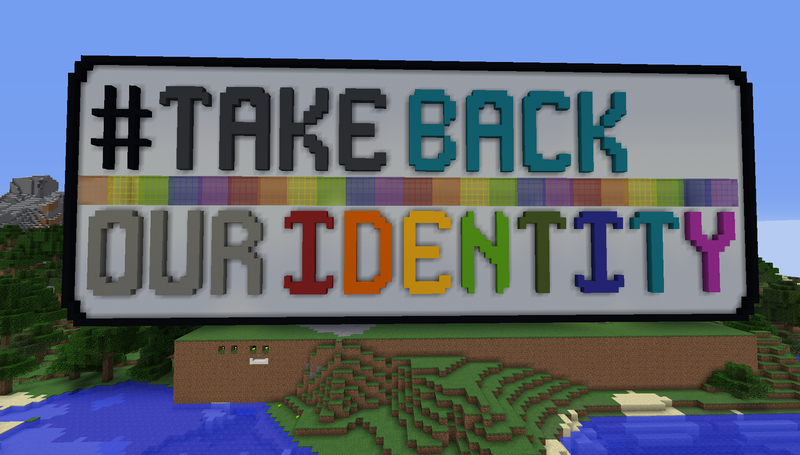 #TakeBackOurIdentity will be a stream that focuses on how the words 'autism' and 'autistic' came be to seen as bad words by corporations and then censored. We will also be discussing the way that affects us as people, as a community and as individuals and we'll talk about ways to reverse these trends. April 2nd, 8am to 8pm EST. If you aren't in that time zone, you can go to this website and enter your city and it'll convert the date/time for you! AutconUK 2019 - Sign up soon closing. AutconUK 2019 will take place on 17th August 2019 in Liverpool, North West England. 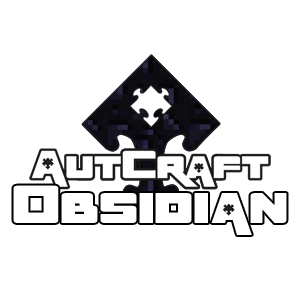 We only have a few places left now, so if you are interested in meeting up with your Autcraft friends and would like to meet some admins and staff, why not come along! If you are interested please sign up at our events page and then I will get more information sent out to either you (if you are over 18) or your parents. SparkleTwinnie a Sign up for this event is now closed. 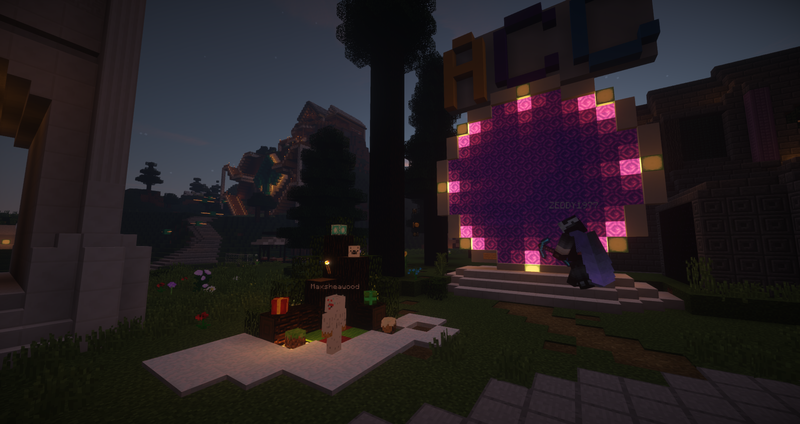 This will be the 6th time that Autcraft hosts fireworks every hour, on the hour, starting at midnight in Brisbane, Australia to midnight in California, United States. That means that we will be on the server from 9am (EDT) my time to 3am my time, doing fireworks every hour at the top of each hour. 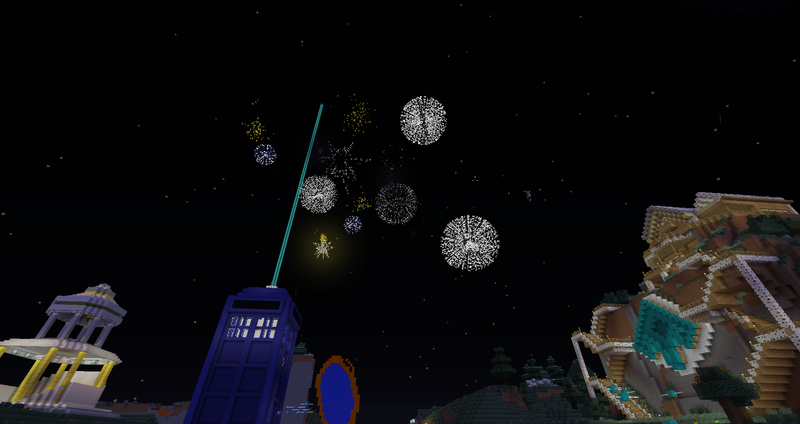 Autcraft does this because some children with autism are unable to attend fireworks in real life due to the lights, the sounds, the crowds and everything else that can contribute to sensory overload. By having fireworks on Autcraft, players are in control of the brightness, the volume and can enjoy them in the comfort of their own home. We do the fireworks at the top of each hour so that every player can enjoy fireworks at midnight no matter which timezone they re in. This is something we began as the calendar changed from 2013 to 2014 and we continue it today as we move from 2018 to 2019. We invite everyone to join us at any time, it doesn't have to be midnight for you. You can watch any of the shows you want. The fireworks are held at spawn over the frozen fountain in front of the lodge. I hope to see you there and Happy New Year! Never give away your old online accounts! So here's something that we see often and just happened again. Please read and learn from this. A player on Autcraft had a Twitter account which recently has become quite rude and vulgar. In fact, far worse than I'd care to describe here. And what's even worse is that they began attacking other players on Twitter. It got so bad that we had to remove that player from the whitelist as a precaution. Once we were able to talk, they told us that they didn't really use Twitter so they had given the account away to a friend. Your account is YOUR identity. If you give someone else access or give it away to someone else, that person can quite literally say and do anything they want and YOU are the one that will pay the consequences for it. You can never prove it either. Think about it, how would you prove that it was someone else and not you? If the account is saying and doing such terrible things, wouldn't it be logical to assume that the person would be willing to lie about it too? How are we supposed to believe that it was really a "friend"? You can never really know what someone else will use your account for. And if you have already friended/followed people that you consider friends or important to you in any way... guess who will immediately become the victim to what ever terrible things that person decides to do. And that's the thing... they can quite literally say and do anything they want because it will all come back on you. Not them. You. It's your account. If you aren't using an account, whether it's social media, Minecraft or anything else.. do not EVER give someone else access to it. Delete it when you're done. Forget the password to it. What ever you want to do but never ever give anyone else access to it. You are responsible for your identity online no matter who using it. If you are a parent, please tell your children. Christmas Village - Advent Calendar - Decorator Heads! It's December which means it's time to open up Christmas Village to all of the players. As with every year, more has been added to make it bigger and better than ever! 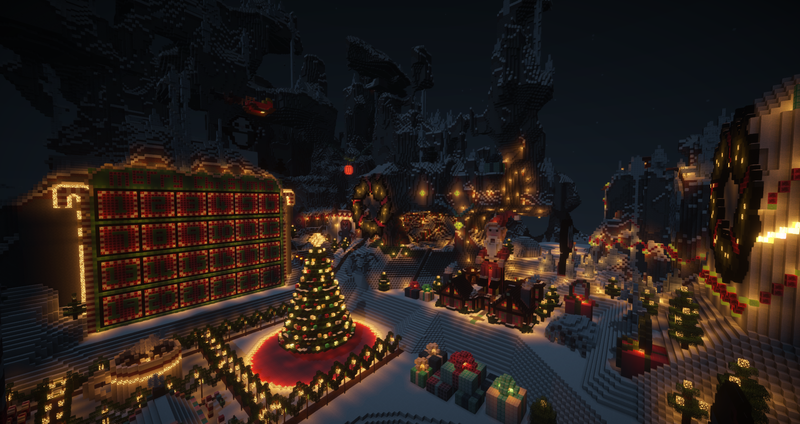 You can visit Christmas Village by going to /spawn and pressing the button in front of the ACC portal. There's an Advent Calendar inside Christmas Village that has doors which will open each day but there's also another, new, Advent Calendar in our online shop. By doing /buy in game or visiting the website (https://www.autcraft.com/shop), players will get one free item each day leading up to Christmas Day, for free! In addition to all of this, there will be new decorator heads added for Christmas, including characters and items, such as presents, bells and more! Of course, that's not nearly all but we don't want to spoil all of the surprises! 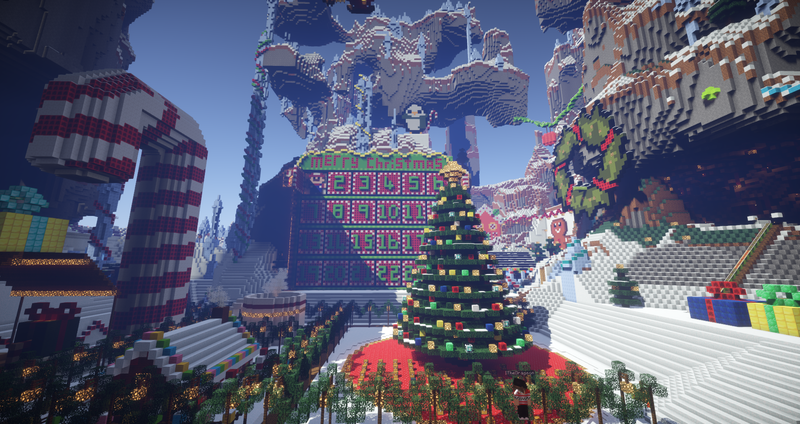 So join us in counting down to Christmas by visiting the Autcraft server and seeing everything that's new in Christmas Village! destinyisntfree Titis is so cool!